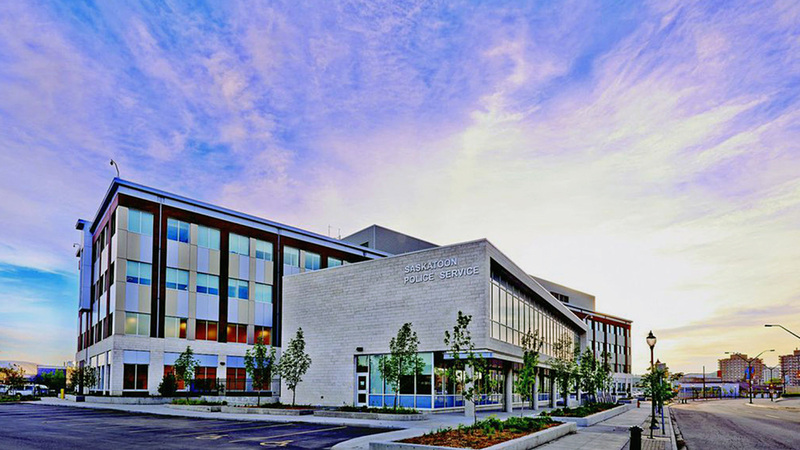 The new Saskatoon Police Services Headquarters is a four-storey, 393,000 square foot facility that includes a pavilion-style building adjacent to the entrance, a community room, a 911 communication centre, a ground sally port, a detention centre, forensic labs, an indoor firing range, K9 facility, training rooms and a police car wash bay. The facility also needed 800 parking spaces during all seasons (200 for police vehicles), which was achieved by adding snow chutes to the exposed, upper level of the parkade so that the accumulation could be pushed over the edge of the roof. 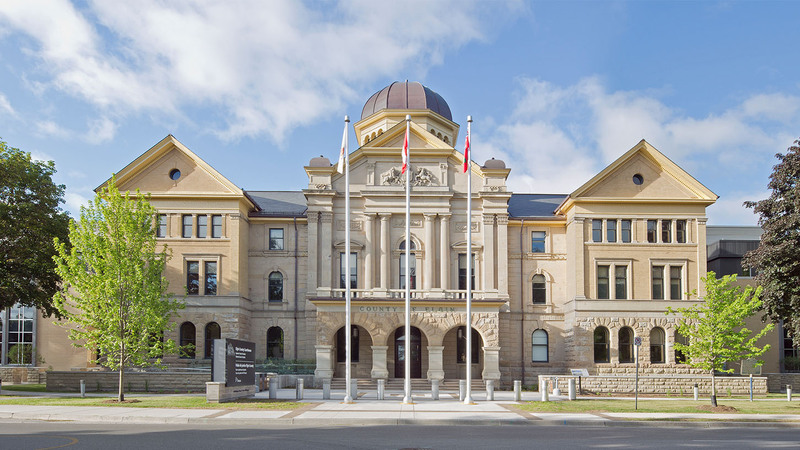 To ensure the project reached successful completion, EllisDon needed to provide all of the functional requirements of the police department, while aesthetically blending with several historic industrial buildings. EllisDon established a Building Information Modelling (BIM) Execution Plan with our Virtual Design & Construction team to establish building and civil quantities, flush out coordination issues, and find scope gaps as the design progressed. We have been impressed by the staffing on the project, the attention to detail and the high level of quality control that EllisDon has brought to the management and delivery of the project. We are pleased to recommend EllisDon for any similar project.